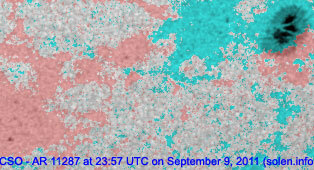 The geomagnetic field was quiet to severe storm on September 9. Solar wind speed ranged between 284 and 499 km/s. The CME observed after the X2 flare on September 6 arrived at ACE at 11:50 UTC with the interplanetary magnetic field becoming strongly southwards at times for the remainder of the day. 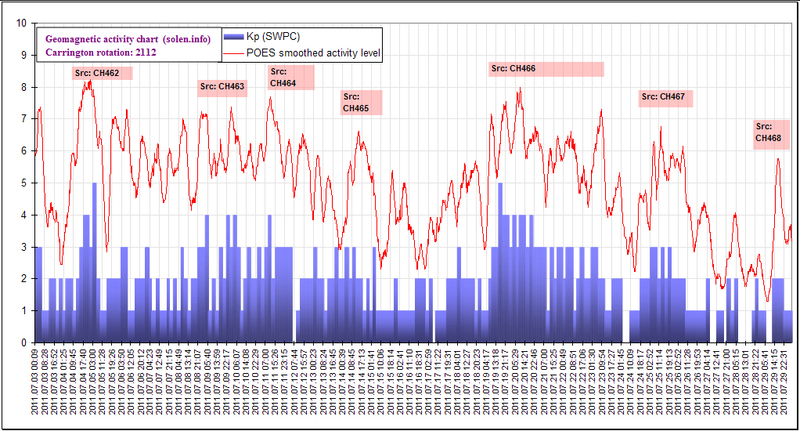 Several magnetometers recorded K9 conditions at the peak of the disturbance. 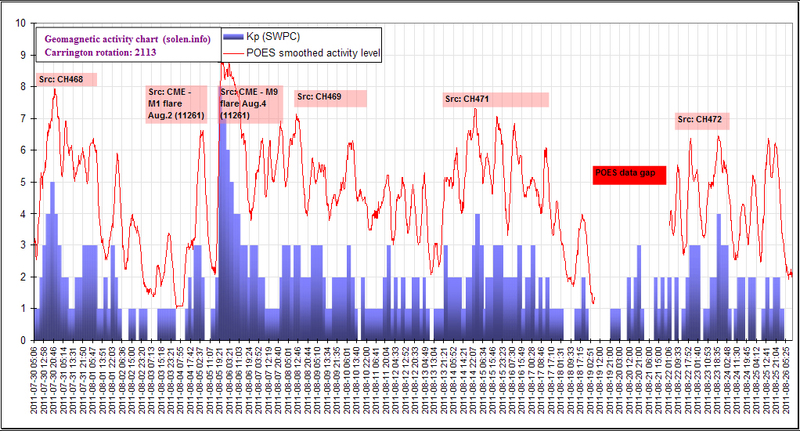 Solar flux measured at 20h UTC on 2.8 GHz was 111.8 (increasing 28.7 over the last solar rotation). The planetary A index was 36 (STAR Ap - based on the mean of three hour interval ap indices: 35.5). Three hour interval K indices: 11005755 (planetary), 12015644 (Boulder). Region 11287 added a few spots and was quiet. 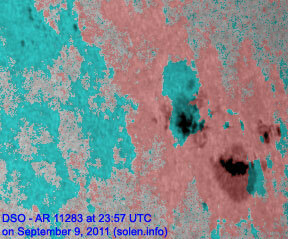 Region 11289 added several spots in a new penumbra to the south of the large penumbra. The new penumbra could easily develop a magnetic delta structure. C and minor M class flares are possible. 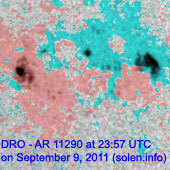 New region 11290 emerged in the southeast quadrant on September 7 and was noticed by SWPC two days later. 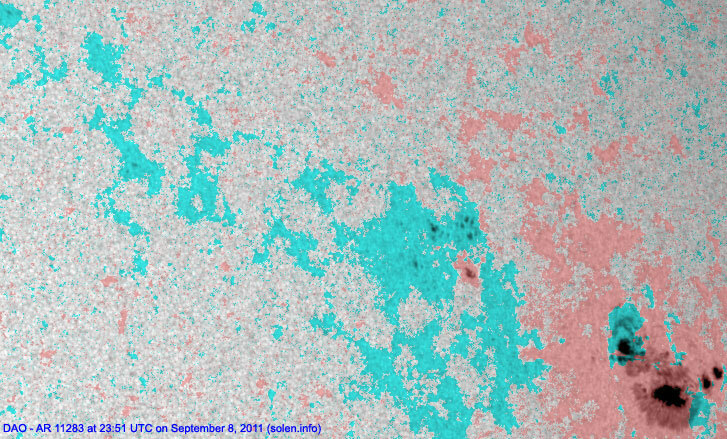 A large filament eruption was observed beginning at 00:59 UTC on September 10 in the central northern hemisphere. At 03:24 UTC STEREO-A observed a CME, mainly over the northern hemisphere. It's too early to tell if this CME will impact Earth. 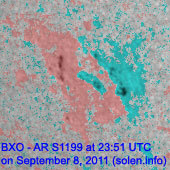 Minor update added at 10:55 UTC on September 10: The CME earlier today was at least partial halo. 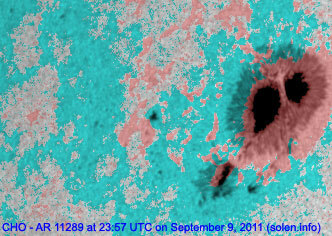 While the core of the CME will not reach Earth, there's a chance of a flank impact on September 13. 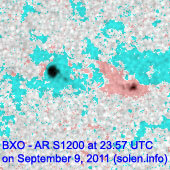 Region 11283 produced an M1.1 flare 07:40 UTC today. 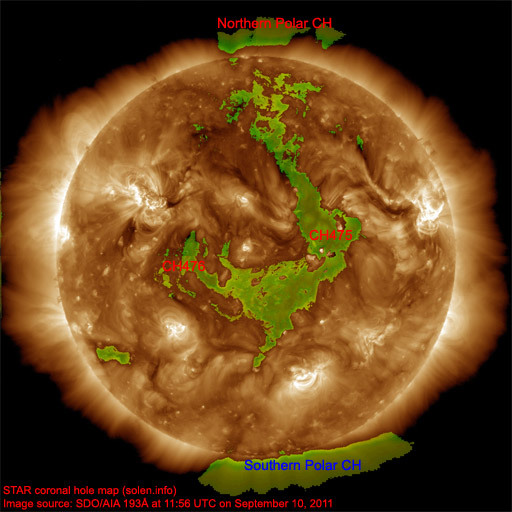 A recurrent trans equatorial coronal hole (CH475) was in an Earth facing position on September 8-10. 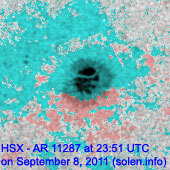 Another and smaller trans equatorial coronal hole (CH476) will rotate into an Earth facing position on September 11. Long distance low and medium frequency (below 2 MHz) propagation along paths north of due west over high and upper middle latitudes is very poor. 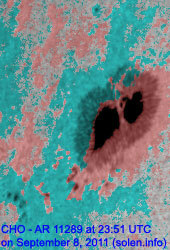 Propagation on long distance northeast-southwest paths is poor-fair. The geomagnetic field is expected to be unsettled to minor storm on September 10 with a chance of an isolated major storm interval due to CME effects. 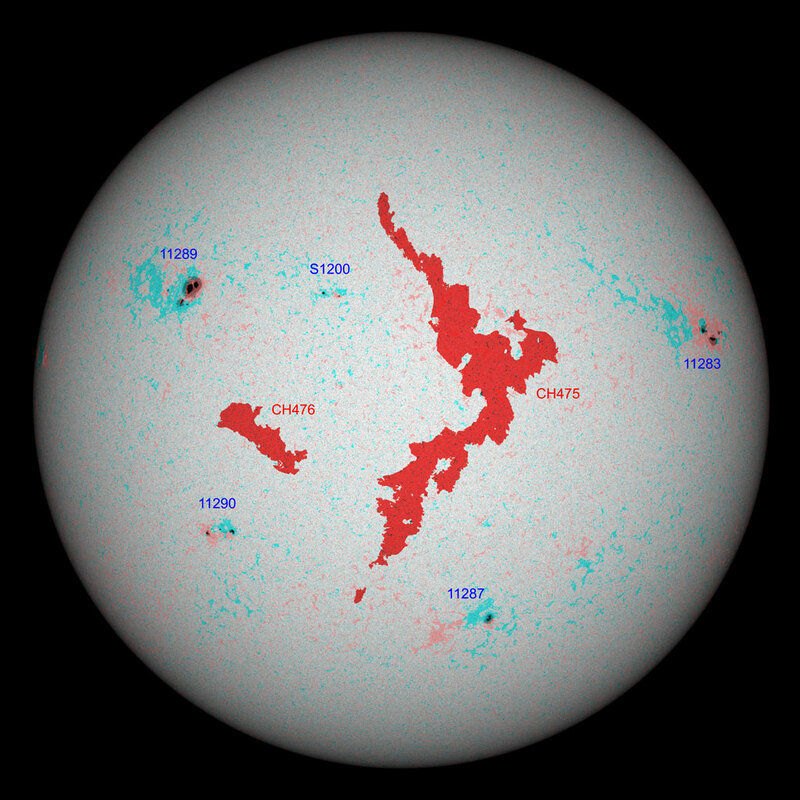 Quiet to active is likely on September 11-15 due to coronal hole effects.